San Francisco, CA, June 11, 2013—For expert LEGO® builder Nathanaël Kuipers, it's not how many bricks you have but how you use them. A former official designer for the LEGO Group, Kuipers shares his insider expertise in The LEGO Build-It Book, Vol. 1: Amazing Vehicles (No Starch Press, July 2013, 136 pp., $19.95, ISBN 9781593275037), coming in July from No Starch Press. According to Kuipers, the goal of his new book is to spark the creative imagination in every reader by showing how to use a collection of standard parts to construct a variety of models. As Kuipers explains, "having only a little to work with teaches you how to be truly creative." 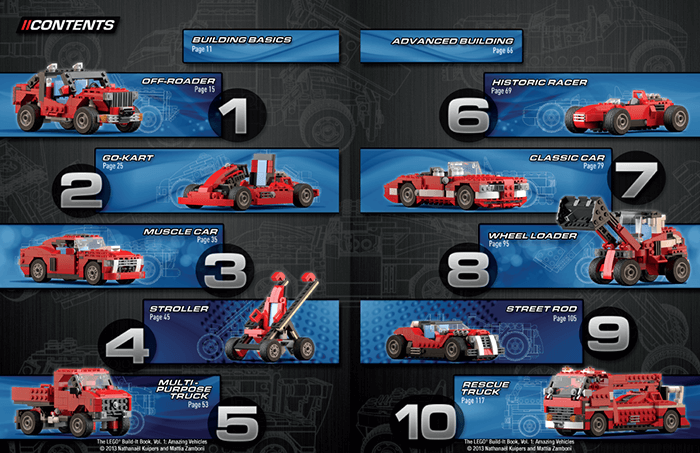 With a handful of easy-to-find pieces, builders of all ages will be ready to make 10 vehicles ranging from a simple go-kart to an impressive rescue truck. Readers learn to build each of the models in The LEGO Build-It Book, Vol. 1 through step-by-step instructions with full-color renderings created by co-author Mattia Zamboni. The book also features creative building techniques that help readers get a better understanding of the LEGO system and become better builders. "You don't need to buy the really expensive products or lots and lots of sets to make interesting models," Kuipers says. "With a little creativity and some useful techniques, you can build endless models from a simple collection of bricks." And the story doesn't end here. 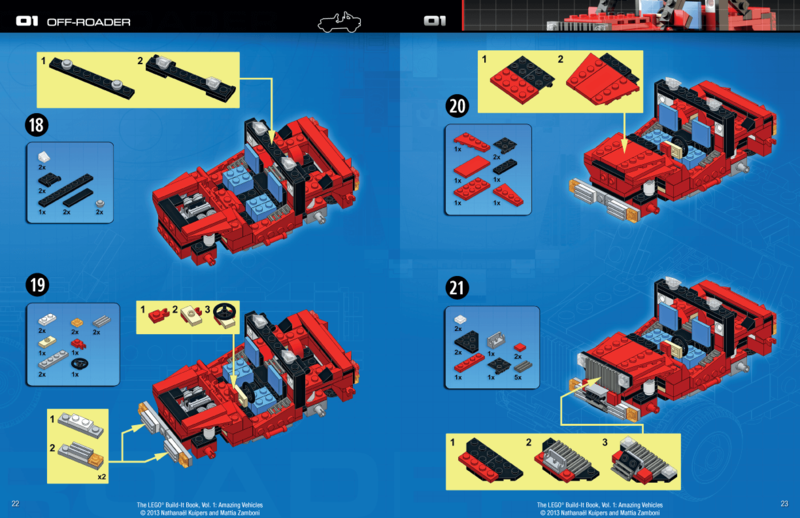 Volume 2 of The LEGO Build-It Book is due for a September 2013 release, and it uses the same collection of pieces as the first volume. The possibilities that lie in a single set of bricks may just be limitless, after all. 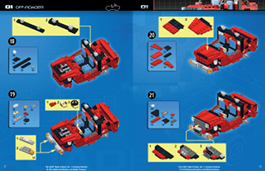 For more information or to request a review copy of The LEGO Build-It Book, Vol. 1: Amazing Vehicles, contact Jessica Miller at No Starch Press ([email protected], +1.415.830.3899) or visit www.nostarch.com. Nathanaël Kuipers is a Dutch design professional who worked for several years as a product developer for the LEGO Group in Denmark, where he was mainly responsible for engineering LEGO Technic models. 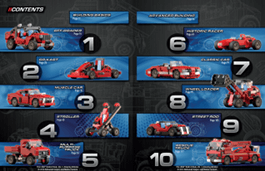 He is the mastermind behind some noteworthy Technic models including the #8272 Snowmobile, the #8292 Cherry Picker, and the impressive #8674 Ferrari F1 Racer. He has also collaborated on the creation of many other models. Check out his work at http://www.nkubate.com/. Mattia Zamboni is a fan of graphic design, photography, and LEGO, and he has a degree in electrical engineering. Based in Switzerland, he pursues his passion for graphic design, showcasing his talents in the world of 3D computer graphic arts. See his work at http://www.brickpassion.com/. Nathanaël Kuipers and Mattia Zamboni are available for radio, TV, print, and online interviews. Please contact [email protected]. Founded in 1994, No Starch Press publishes the finest in geek entertainment—unique books on technology, with a focus on open source, security, hacking, programming, alternative operating systems, LEGO, science, and math. Our titles have personality, our authors are passionate, and our books tackle topics that people care about. No Starch Press titles have been included in the prestigious Communication Arts Design Annual and STEP Inside 100 competition, and have won the Independent Publisher Book Award (the "IPPY") from Independent Publisher magazine. Visit http://www.nostarch.com for a complete catalog.